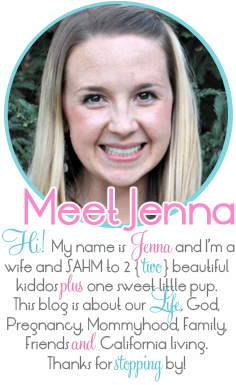 Today I'm linking up with Jenna (hey, great name!) 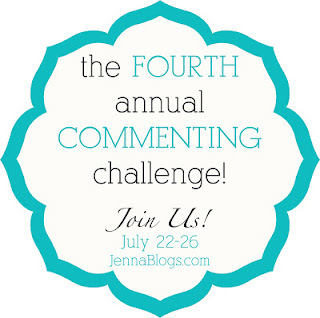 for the Fourth Annual Commenting Challenge. 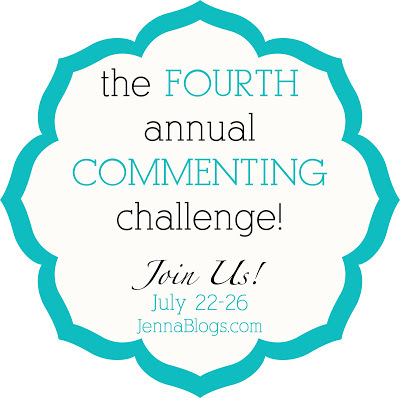 I've participated for the past two years and have loved meeting new blog friends, so I couldn't pass up the opportunity again this year! Today is all about introducing ourselves... so here's a little about me. I've been married to my husband, Ryan, for 6 years in October. He got out of the Army last year after 8 years of service, and we moved from North Carolina back home to California. We spent a year in the San Francisco Bay Area, then were able to transfer with Ryan's job to the central valley, which is where our families are! It was such a surprise blessing to be back near our families so soon after getting out of the Army. I am LOVING being by our friends and family again after being away for so long! I'm a SAHM to our two adorable kiddos. 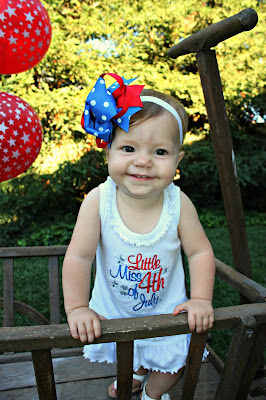 Lexi turned 1 on July 4th. 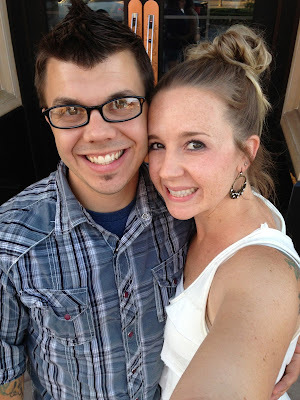 I am pretty active on Instagram (@Jenna Hansen), and I have Twitter (@jnhansen), however, I am rarely on there. I also love getting comments here and am always sure to respond! Try to make sure your email is connected to your blog or else your comment will come through as "no-reply blogger", and I'll have a harder time replying to you! I also love Pinterest and have done a ton of Pinterest projects throughout our house. I love a good DIY project! 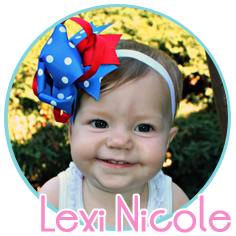 And finally, I am currently in the process of opening my Etsy shop selling birthday banners and cupcake toppers! You can find me HERE. I just opened, so I don't have a ton listed yet. But I'm working hard on some more projects and will have them listed soon! I also love custom projects so let me know if there's something you're interested in and I would be happy to work with you!! 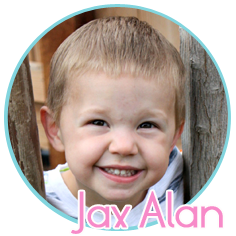 I would love it if you left me a comment below so that I can come visit your blog too! Come like my brand new Facebook Page! Stopping from Jenna's. Thank you to your Husband and your family for you service in the army!! Found you through Jenna's blog. It was nice "to meet your family". Your kids are adorable. Stopping by from Jenna's! Our babies share a birthday!!! My son was born on the 4th of July as well. 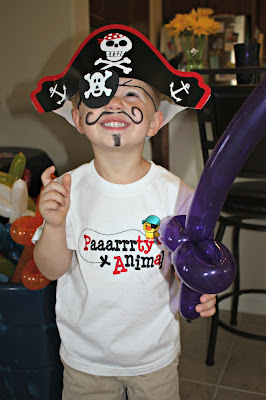 :-) He turned 2 this year,and is definitely keeping me on my toes! HA! Your children are adorable...I'll be stopping back in for sure. Stopping by from Jenna's. Your blog and kiddos are so cute! I'm going to follow along with BlogLovin. hey Jenna! found you thru Jenna's blog!! your kiddos are adorable! 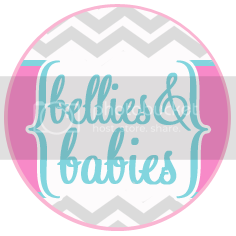 I will definalty be checking out your etsy shop and looking forward to reading your blog! Thank you!! And thanks for stopping by!! Thanks for stopping by my blog! :) It's very encouraging to hear from someone who experienced secondary infertility and is on the other side of it.